Kimberley Off-Road Adventure Tours is a small company run by Adam & Lucy who came together because of their love of travelling and their connection to the Kimberley. Adam & Lucy both enjoy outdoor living and going on adventures. Adam provides the company with his excellent knowledge of northern Australia and his ability to travel with groups in remote areas, whilst Lucy's background in media and marketing is essential to keeping the business running. The company is based in Darwin where Lucy looks after the day-to-day running of the business, whilst Adam spends the dry season taking guests on their off-road adventures. Adam has 11 years experience in the outback; he's gathered extensive knowledge of the land and the fauna and flora, which he passes onto his guests. Over the years he has fostered great relationships with the locals and learnt about many phenomenal places he can share with his passengers. 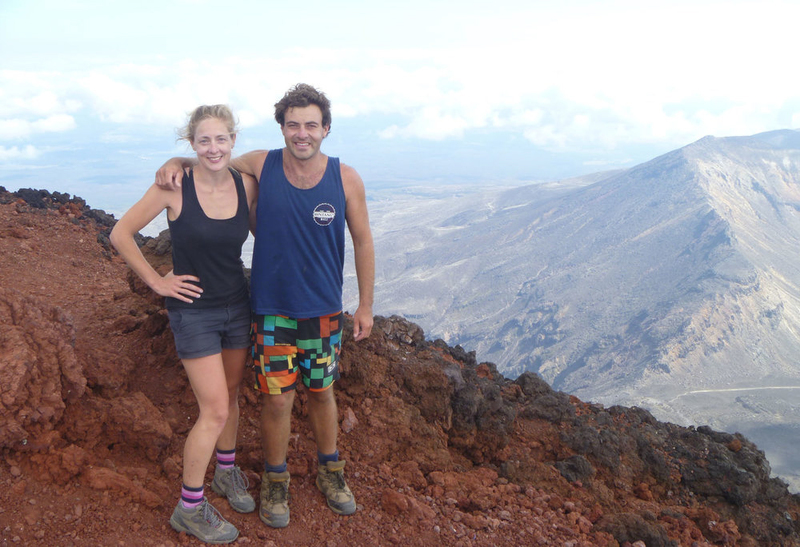 Adam & Lucy set up Kimberley Off-Road Adventure Tours because they wanted to offer tours that catered for people who enjoyed travelling in a similar way to themselves. They have created a tour focussed on being in nature and having fun! Their 9-day Darwin to Broome (or reverse) tour and their Darwin to Cairns (or reverse) tour offer value for money with plenty of adventure, history and nature included. They know how great it feels to travel through the stunning landscape found in Australia's remote regions; and they are excited to share it with others and give them the amazing unforgettable adventures they've been lucky enough to experience. Adam has a get-up-and-go attitude and is an outback explorer through to his core. He is laid-back by nature but knows when he needs to take things seriously and he is certainly a competent leader in the bush. He's an outgoing guy who is always happy to have a chat. You'll do good to spot an animal out in the wild before Adam does, but it's definitely worth challenging him! “There is nowhere else I’d rather be than in the outback of Australia, so I feel extremely lucky to do a job which allows me to spend all my days out there, sharing my knowledge with like-minded people. I really am the luckiest man." Lucy has always been spontaneous and ready to try new things. She grew up in England and moved to Sydney, Australia in 2011 before going on a Kimberley adventure tour and deciding to settle in Darwin in 2013. She has spent the last 10 years working in the media industry and in her spare time she'd be off on holidays and adventures. She feels she has found a home in Darwin, Northern Territory because it suits her laid-back attitude and it gives her plenty of camping opportunities! She is a stickler for detail and has a great sense of humour. “I’ll never forget my first time travelling through the Kimberley. I just remember standing there, with a 360 degree view and thinking ‘WOW!’ It was nature like I’d never seen it before, and completely untouched. It quickly became my favourite place in all of Australia!" Kimberley Off-Road Adventure Tours prides itself on creating a friendly, relaxed atmosphere whilst on a non-stop adventure. They like you to feel like you’re travelling with friends by encouraging friendship and teamwork within the natural environment of the Australian outback.